All About You is what This Page is All About. Now I have an opening provided for you. Perhaps you would like to join my about us page and tell us something of concern to you. Tell your story and what you see yourself doing. Are you simply a customer or do you have a desire to work your own business? Your entry here can become your avenue for creative expression. So share your business or customer experiences. Our audience would love to hear. And truly at this point my about us page really is becoming all about what concerns you. Do I have to be a subscriber to make a contribution? No. Absolutely not. Plus you will never be bothered by us either for doing so. We also dislike spam. 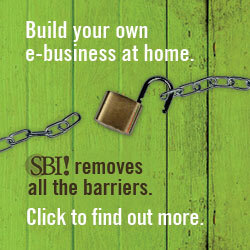 Have A Great EBiz Story About Your Life Online? You are invited to share your heart felt business story with us concerning your life online. Yes the good, the bad or even the considerably ugly. As you enter your information we have included this symbol [?]. Clicking on it will reveal helpful suggestions for filling out our forms. Other Topics to Express Yourself in .. Ask a Question. Dollhouse hobbyists from time to time want questions answered. Check out this page to see if your question has been asked. If not feel free to express your current situation. Maybe someone online has a solution for you. Join our ever growing Dollshouse Friends community by sharing your pictures and stories. We always love hearing great stories about your collections. Are they massive? Have they taken over your home? Good stories are never trivial and always welcomed. Welcomed and received with enthusiasm. Anyone into this hobby loves hearing about all the fascinating shows and miniature goodies you have explored. Join in the fun. Contribute your story today. About you and your Craft Projects. Design Tip #2: Learn to Design with the Pros! 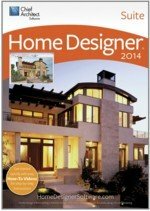 Open up your copy of Home Designer and begin studying all the "spot on" information. This program really tells you how to design great structures from scratch. All the info you need is located right in the program itself. So you never have to worry about where to find them. The instructional "how-to" videos are plainly marked as you open the software under the heading "Tutorial Videos". By the time you have studied the first of these online helps you will be well on your way to controlling any design you want to create. In an environment that is geared to help you simply each step of the way.